In every girls wardrobe there’s one fashion accessory that we simply couldn’t live without: the classic pair of jeans. Whether you’re going for a smart look for date night or a casual day of shopping, there’s a design for you. You’ve probably all heard of skinny, flared or even boyfriend jeans – but what about girlfriend jeans? Girlfriend jeans are just as roomy as the boyfriend jeans you love, but they offer a much trendier design. 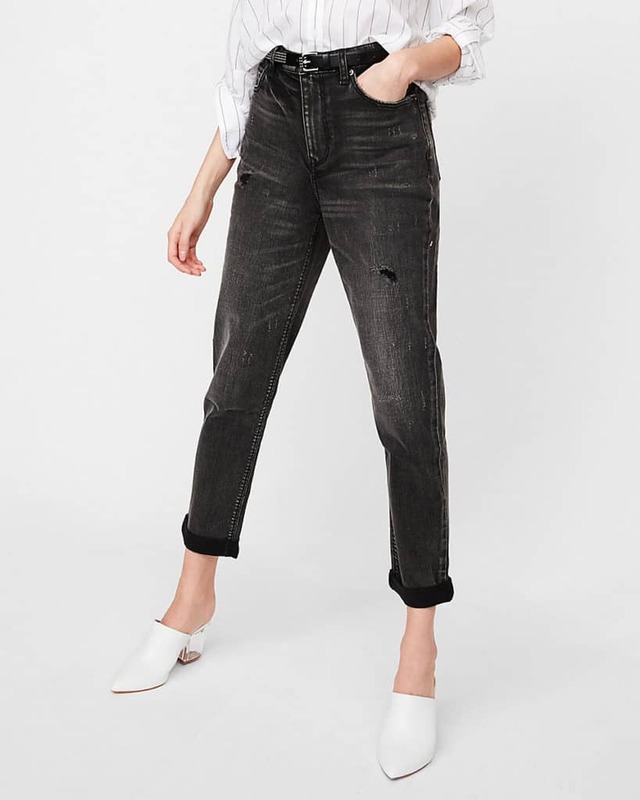 Girlfriend jeans are higher waisted, with a slim leg to maintain their shape. So the question that is on your mind – how should you wear them? 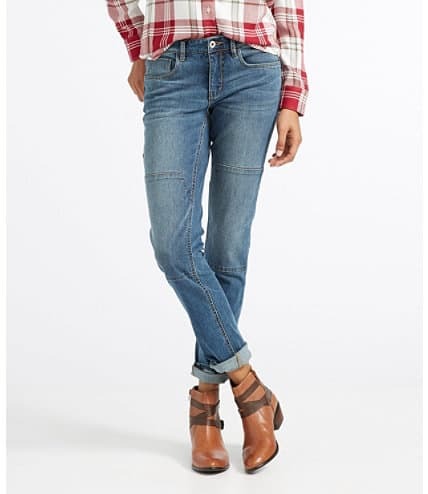 Girlfriend jeans generally have a cropped, cuffed or turned up leg so you can flash a bit of ankle. The higher rise waist will compensate for the shorter leg thereby elongating your legs. Make sure you wear some sort of heel though as these jeans can make your legs look a bit stumpy with flats. If you buy jeans that are made from stiff, good quality denim you can be assured that they will generally keep their shape. If you start putting your phone in your jeans pocket, however, they’ll start to lose their stiffness and will become baggier. Avoid pocket dialing by keeping your phone in your bag! The great thing about girlfriend jeans is that you can wear them ripped for a casual day out or untouched denim for a evening out. 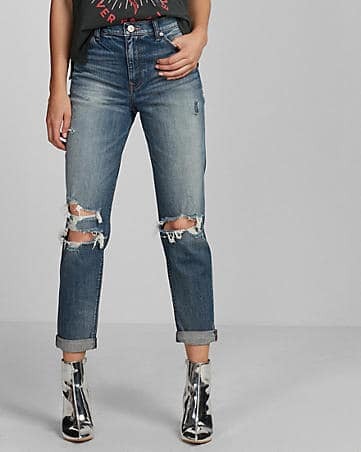 If you’re going for rips make sure you keep them to your knees, mid-thighs or mid-calf to avoid the ‘I haven’t bought a new pair of jeans in years‘ look. Yikes! This may sound like a nightmare for those who love to be squeaky clean, but to keep your denim at its best you shouldn’t wash it for 6 months (ugh!). If you really can’t manage it you can freshen them up with a quick wash on a delicate cycle. I LOVE this trend!!! I never heard of girlfriend jeans though! I like the take on them- a bit slimmer and more fitting than boyfriend jeans!! Love, love, love this style of jeans. 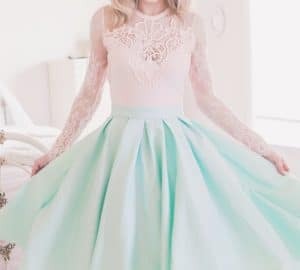 They’re so perfect because they can be dressed up or down! I absolutely love girlfriend-style jeans! 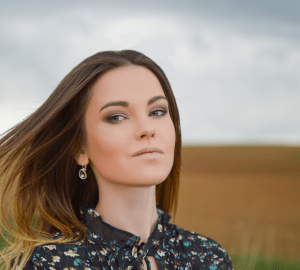 I bought a pair of high waisted girlfriend jeans recently – loved them! I didn’t know you shouldn’t be washing your denim any more than 1 every 6 months!!! I’m not sure how I feel about that.